One of the basic tenets of the law of attraction is this scientifically proven truth: “What you attract is what you are.” With meditation, you can attract the personal growth that you are seeking by living the change you want to achieve. But how exactly can this happen? The definition of personal growth and development varies for each individual. For one person, personal growth may mean something existential such as finding your purpose in life. For another, it can simply be something a bit more practical, such as landing a good job. You may define your growth in terms of your ability to make a better life for yourself and your family, or perhaps your courage to enjoy life solo. Depending where you are right now, it can mean sharpening your skills or finally discovering that one thing that you’re really good at. Basically, it’s a movement from your current situation to a better one. Activating growth from within you is challenging because it involves chucking away the ineffective habits, beliefs and systems that you have held onto for so long. Change—growth—is never easy, so you need to make yourself well-prepared for it. Some habits are so unhelpful and damaging that they stunt your growth. But you have been so used to these practices that they basically are the foundation of your comfort zone. Meditation refreshes your perspective, giving you the confidence to break free from limiting mindsets and behaviors to make way for better things. Your mind needs to be at its strongest to survive the process of change toward growth. One of the first lessons you need to learn when meditating is how to turn off distractions within and around you. Meditation improves your concentration, learning ability and memory—all of which are essential for you to focus on attracting your goals. Growth is difficult because it demands change. And as anyone will agree, change—even if it’s for the greater good—requires some amount of instability and even seeming chaos before a new order is established. Mediation is a well-known stress reliever. It helps you clear information and emotional overload, and can reduce feelings of anxiety and depression. As a result, you gain calm and clarity, which allows you to make wiser decisions to instigate positive progress. 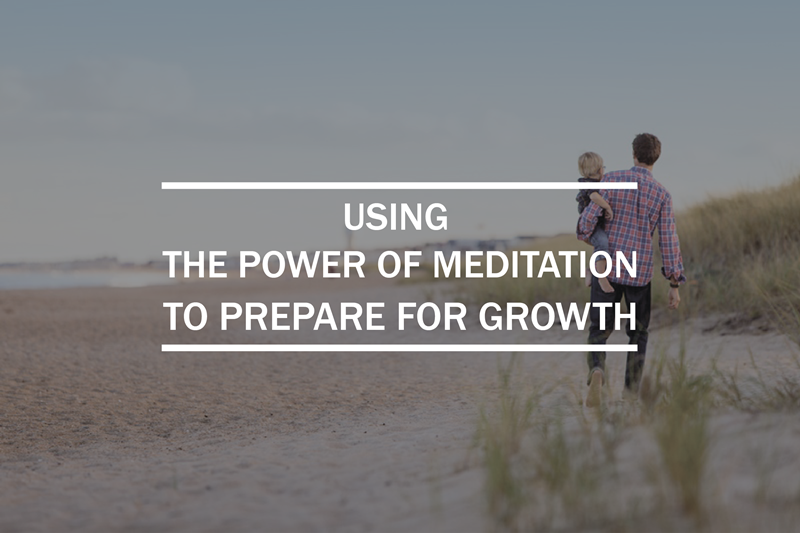 Meditation can help you achieve the goals you have set for yourself through clarity, self-awareness, strength and compassion—all important elements to personal growth. At the same time, and perhaps more importantly, it assists you in navigating the shaky transition that takes you from where you are today to where you want to be in the future.